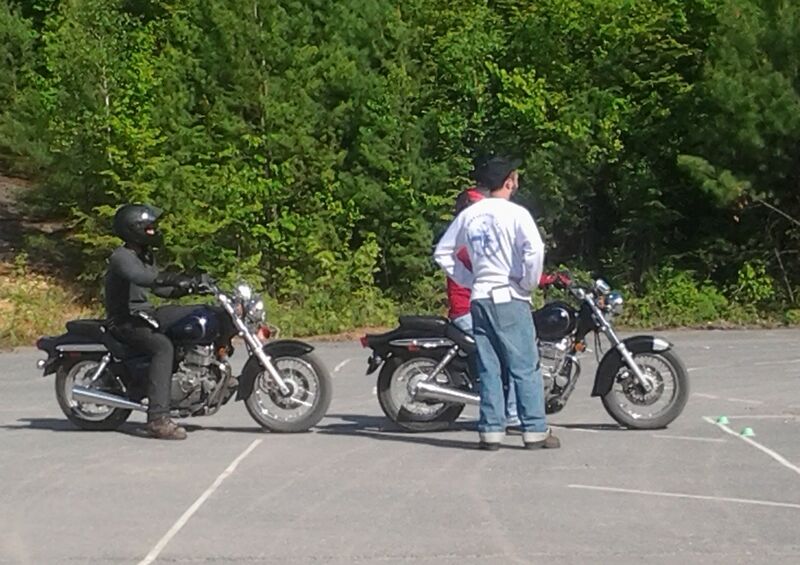 Basic Rider Course (BRC) ( with License Waiver Test) is the best place to start once you've made the decision to ride. The basic course covers the basics of operating a motorcycle and safety-oriented mental strategies. Motorcycles and helmets are provided for your use. Successful completion of this course, consisting of five hours of formal classroom activities and ten hours of on-cycle hands on instruction conducted over two or three sessions. Passing the Knowledge Test and the Skill Evaluation will waive the need for a RMV Motorcycle Road Test. A course completion card will provide a limited 10% discount on your Massachusetts motorcycle insurance. The Basic Rider Course ( BRC) (with License Waiver Test) also has a "Small Group" option, which is the BRC that consists of a smaller class size with more individualized coaching and a "Tutoring" (Private BRC) option, which is one student and one Rider Coach. Both of these options include the Motorcycle Road Test. are provided to the students. WE ACCEPT CASH, CREDIT CARD AND PERSONAL CHECK PAYMENTS. We offer weekday and weekend classes.